Glipizide 5mg 56 Tablets is used in a person with Type-2 diabetes when diet, exercise, and weight loss alone do not have an adequate effect. 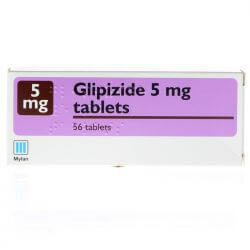 Glipizide 5mg 56 Tablets reduces blood sugar levels. Keep this medicine out of reach and sight of children. Do not store above 25 degrees celcius and protect from light. Always take Glipizide 5mg 56 Tablets exactly as your doctor has told you. The usual starting dose is one tablet (5mg) before breakfast or before the midday meal. Glipizide should be taken about 30 minutes before a meal. Depending on how your blood sugar level responds to the medication your dose may increase by half to one tablet up to a maximum of six tablets (30mg) a day. 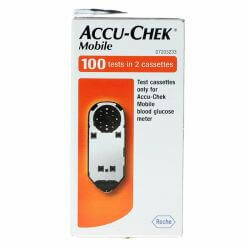 If you are taking more then three tablets (15mg) a day your dose will be split into twice a day. 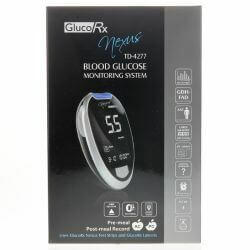 If you forget to take Glipizide take the next dose as soon as you remember or feel faint, otherwise your blood sugar level will become too high and you may go into a coma. Do not take a double dose to make up for a forgotten dose. If you take more Glipizide then you should this will cause your blood sugar level to drop too low (hypoglycaemia) If left untreated this can lead to fainting and coma. You should eat or drink something sugary as soon as you can and contact you doctor immediately. The active ingredient in Glipizide 5mg 56 Tablets is glipizide 5mg. The other ingredients differ depending on manufacturer. Please read the patient information before taking. Please read the patient information leaflet provided before taking this medicine. Like all medicines Glipizide 5mg 56 Tablets can cause side effects but not everybody experiences them. If you experience any of the side effects listed in the patient information leaflet or any not listed please consult your doctor or pharmacist.